ServiceMaster Clean of Fraser Valley is an industry leader in residential and commercial specialty cleaning. We offer a full range of cleaning solutions that include carpet cleaning, hard-surface floor cleaning and upholstery cleaning, as well as janitorial services for the commercial industry. For over 21 years, ServiceMaster Clean of Fraser Valley has been keeping our customers’ homes and offices looking their best. We take great pride in the quality of service we provide to our customers. Our propriety products and equipment help make our cleaning services outstanding in the industry. ServiceMaster of Fraser Valley is committed to protecting the environment. Our proprietary Capture and Removal Cleaning® system is designed to improve indoor air quality, reduce waste and minimize our effect on the environment. 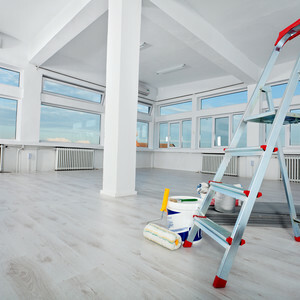 ServiceMaster Clean of Fraser Valley provides Residential, Commercial and Janitorial cleaning services to the areas of Langley, Aldergrove, Abbotsford, Mission, Chilliwack and Hope. The core services we provide are: Janitorial Capture and Removal Cleaning®, Healthcare Facility Cleaning, Educational Facility Cleaning, Commercial Specialty Cleaning, Carpet and Upholstery Cleaning, Floor Refinishing, Duct and Furnace Cleaning and Dryer Vent Cleaning.